Are you heading out to the west coast with a flower in your hair? Gas up the VW bus and dress the part with this incredible costume. We all constantly dream of simpler days when all the craziness of modern life was just a little bit less in our faces. Times have kind of always been hectic, but a number of people in our past have been able to resist the push of fear and stress with a little bit of... peace and love! Now that technology is everywhere these days, inevitably adding to the craze of the times, maybe it'd be a really great idea to unplug. To rewind. To find a simpler time! Styled as V-neck mini-dress with an attached fringe vest, this costume is made with 100 percent polyester knit & faux suede materials. 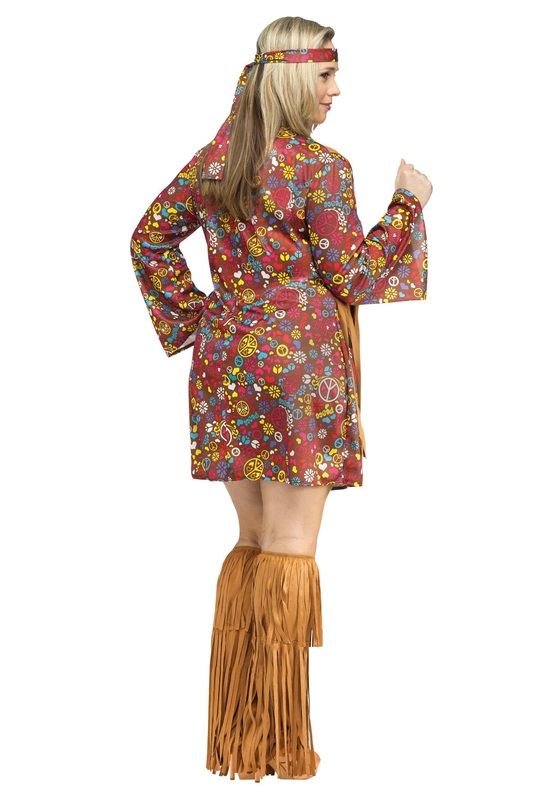 Matching fringe boot covers continue the theme, and when you style your hair and wear the printed headband, well, you're going to be totally groovy. When you choose this costume, don’t just return to a better time—bring peace and love from the past back into the future and spread the love! When you arrive in San Francisco be sure to go find your fellow hippies in the Haight Ashbury district! 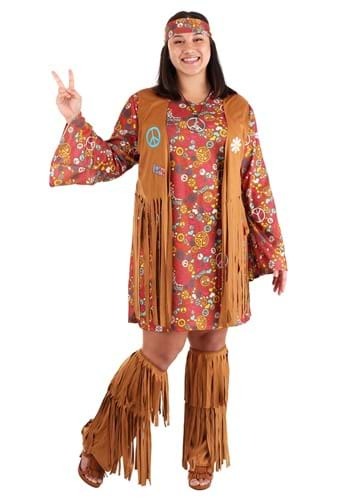 Just be sure you're wearing your new favorite fringe costume. This was really comfortable. And with the headband and boot covers included I found it a great value as well. I got many complements. Liked this light, durable and cute outfit. Would recommend. Fit is true to size.